The intake was my first major restoration project, so I had to learn a lot about cleaning and repairing aluminum. 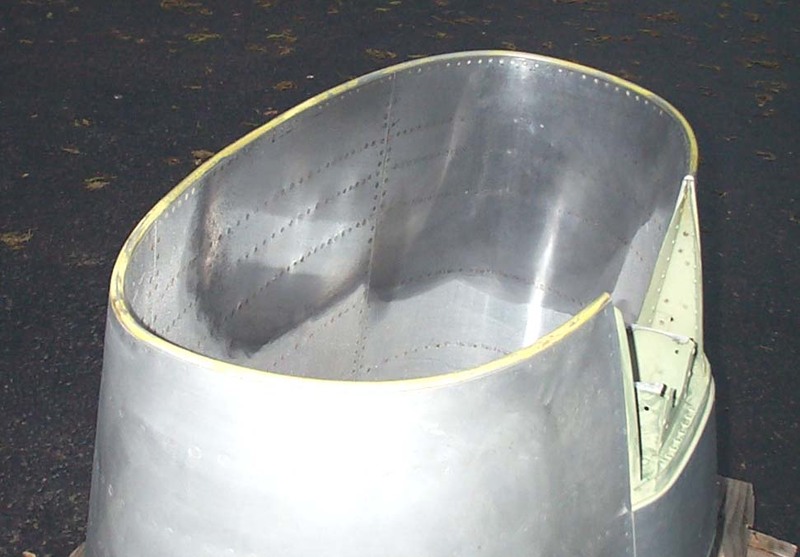 Fortunately, the damage was relatively minor and the only missing piece was the gun radar cover. Figure 1 shows the intake after a few months of work. 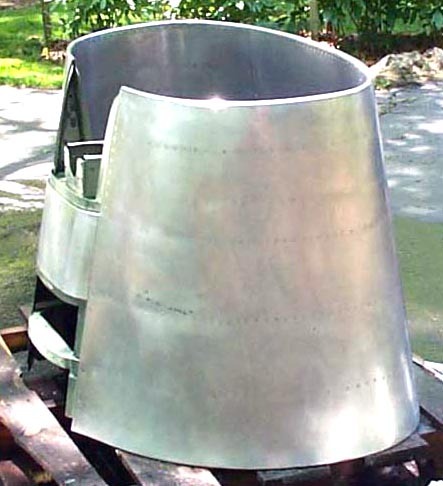 At this point, the remaining "manufacturing" task was the creation of the gun radar cover and its frame. You can't ever polish enough. The intake surface had a lot of scratches and scuff marks on it. In addition, there were some major oxidization problems, so it took some time to get the surface smooth. Very fine sandpaper and steel wool did the smoothing job, but they also left the surface dull. Fortunately, there are some excellent metal polishing compounds such as Mothers and Maas. Figure 2 shows what a difference the polishing compounds make. Aside from yielding very shiny metal surfaces, the polishing compounds also leave a protective layer on the metal. Figure 3 shows the completed intake. 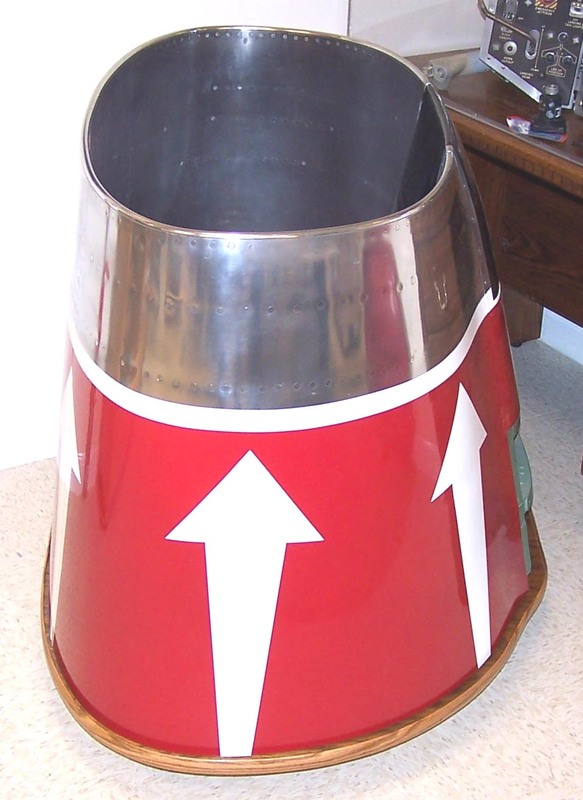 Note that the (fiberglass) gun radar cover and its frame have been created and installed. Also note the curvature of the lower intake lip. Most scale models are incorrect when it comes to this feature. For example, the 1/48 scale Revell-Monogram kit's lower intake lip is too flat. The paint job shown in Figure 3 reflects the colors of the 353rd TFS, 354th TFW, in 1959.